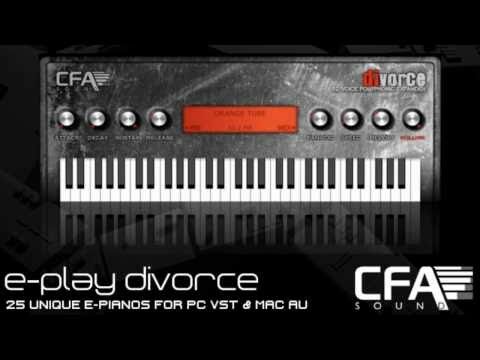 E-Play Divorce – the dirty side e-piano sounds with 25 unique e-pianos with a special dirty and nasty touch – VST, AudioUnit & NI Kontakt. Tags: Ambient, Cinematic, Deep House, Minimal, Tech House, Techno, Trance. E-Play Divorce – the dirty side epiano sounds, containing 25 unique e-pianos with a special dirty and nasty touch. All instruments are also packed as sample instruments for Native Instruments Kontakt.